Nottingham’s premium Sign Makers. Serving Nottinghamshire for over 20 years. Whether you are looking for a new shop sign or sign for your business Blueprint are here to help. 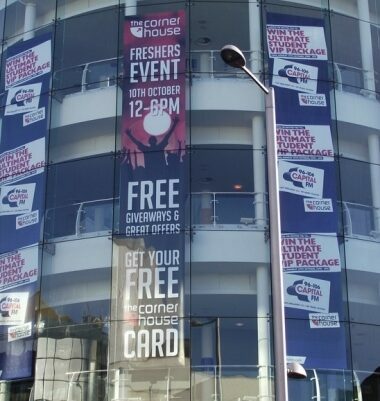 We are one of the largest Sign Makers Nottingham and don’t just serve the local public. Our 20+ years of running has allowed us to work on all sorts of projects large and small so you know when you choose Blueprint you are in good hands. If you are searching in Nottinghamshire for “Sign Makers Near Me” you should be sent straight over to us at Blueprint. While we focus our advertising around the Nottinghamshire area we have customers far and wide all over the United Kingdom who trust us with their signs. Speak to us today using our contact us page or call us on 0115 9876 111. Reliable friendly service with good quality logos. have done all my vans... never had a problem. Great design team, great communications, amazing work. Why go anywhere else? Will be back with a new idea soon! Highly reputable, friendly, professional company. They have done all the livery work on my race car and my last 2 work vans. I couldn’t recommend enough and have done many times. Keep up the good work. I had a car wrapped by Richard & his team and I highly recommend them!! I’ve also had sign work done and again it was a 5 star service throughout!! Top quality!!! As always, Blueprint's design was spot on – with a vibrant, eye-catching and dynamic feel to reflect the new Corolla styling.